Sorry it's been a while since my last check in little blog! I guess life just happens like that sometimes. In honor of it being almost a year since Kurt and I went to Italy last (gasp!) I thought I'd finally get around to posting all our photos from the trip! What better way to get back in the swing of things than with a guest post. Our trip was amazing (let me remind you of our previous day in Positano) but certainly hit a few rough patches along the way. Kurt really tells the story/stories best, so I'll let him share the tale with you. Enjoy! Let me first start this off briefly by saying it's an honor to be invited back, thank you Melissa. My last post around these parts was already 3 years ago! In the afternoon our final day in Positano we boarded a bus headed down the the Amalfi Coast for Salerno on a road I had only previously experienced in video games. 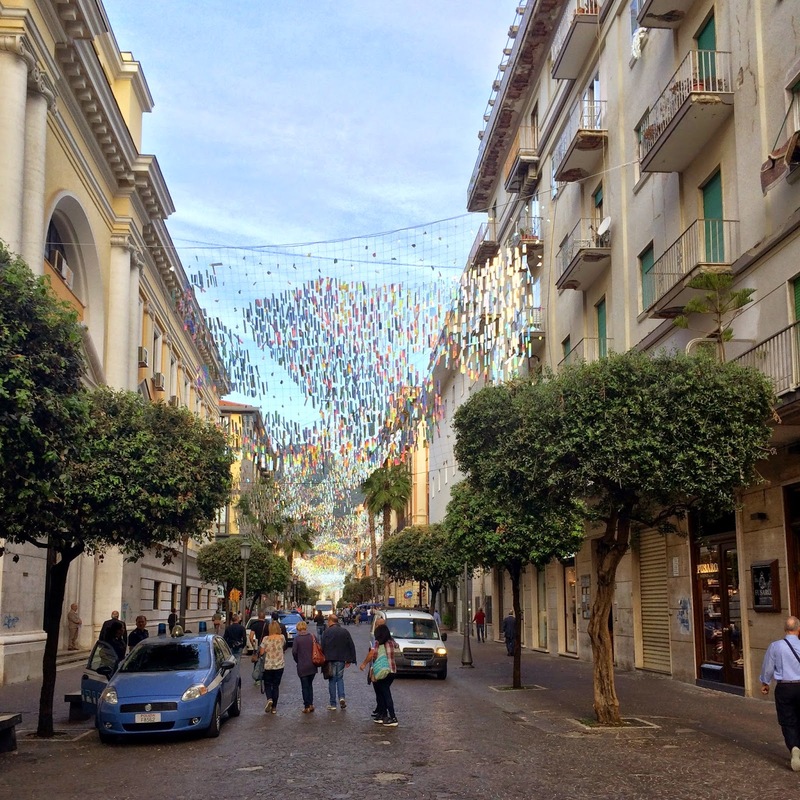 We arrived into Salerno just in time to hike to our AirBnB, clean up and head out for La Passaeggiata and then dinner. 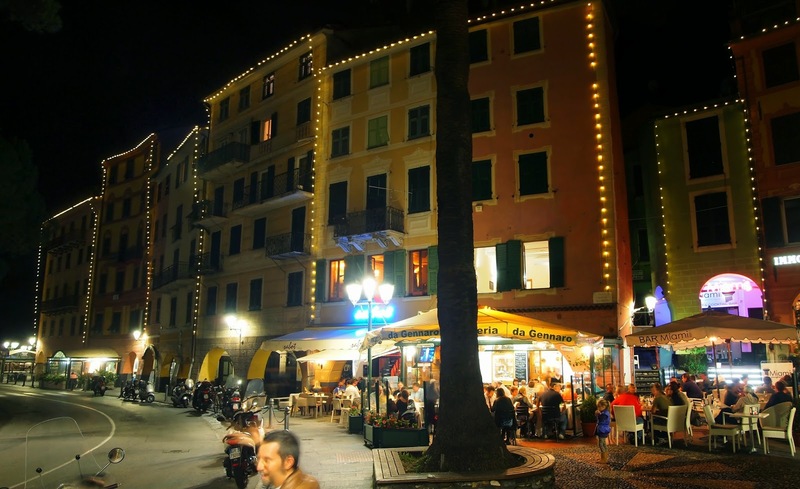 Day 9 was planned to be a leisurely day of train riding back up the coast all the way to Rapallo. We would go from Salerno to Rome with a brief stop in Napoli on the Frecciarossa (Italy's new high speed trains). Then change in Rome to catch a slow local train traveling up the Mediterranean coast through Lazio, Tuscany, and ultimately Liguria. I bought our longer-distance train tickets for the trip more than a month in advance - but even then I wasn't early enough to get us the Economy Class from Salerno to Rome. 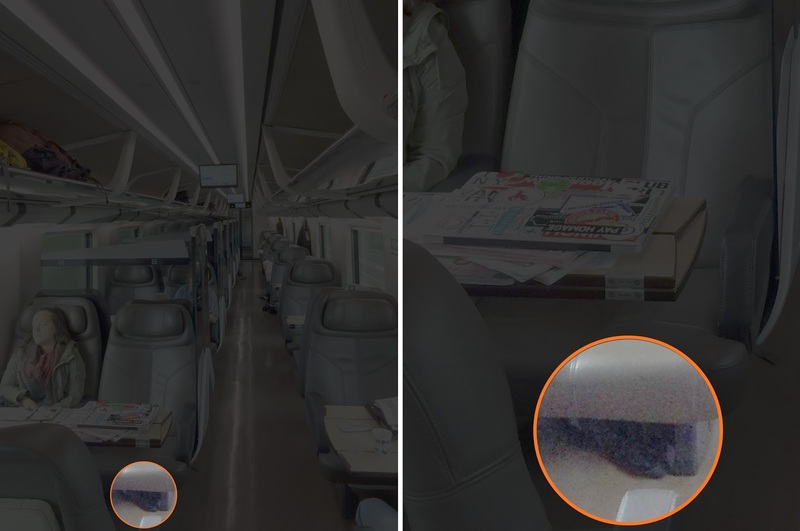 So we were forced to spend a little more money for Business Class seats which came with a free newspaper and coffee - Melissa chose to sleep, clearly she does not love High Speed Rail (HSR) as much as I do. This was a Friday morning so I pulled out my laptop and worked on my weekly College Football Pick'Em email while occasionally gazing out the window at the Southern Italian landscape while cruising along at speeds around 200 MPH. Upon arriving in Rome we got off to transfer to the local coastal train. After the long walk down the platform from business class (the back of the train) we were gazing at the departures board for our connecting train's platform. A good 5 minutes later, I glanced back towards the high speed train we had arrived on and thought "I don't have any photos of the high speed trains...I should take one now in this beautiful morning light..." It was at the end of this thought that I realized that my camera was not in my immediate possession. It dawned on me that I had left it under my seat on the train we were no longer aboard. While Melissa settled in for a nap I happened to take a photograph of the train car as we departed Salerno. It looks like something is under my seat. Upon closer inspection, it is my camera in its case. I frantically tell Melissa and said wait here, I'm going to try to get it before the train leaves! I didn't even take my huge backpack off, I just started sprinting down the platform. Within a few moments - and already out of breath - I saw a conductor and I splurt out a few words (everything from here on out that isn't a conversation between Melissa and I occurs in Italian). I said that I left my camera on the train and what should I do!? His response was: RUUUN! So I continue my full-out sprint towards the end of the train and I know that it must be preparing to leave shortly. Because the Frecciarossa train we took from Milan to Rome was direct with no intermediate stops I assumed that when the doors closed on this train it would be bound non-stop for Milan. I identify the business car and get aboard, it's in this moment that I'm happy to have trekked that distance with my backpack as I dump it in the doorway to jam the doors if they close while I'm onboard. Huffing and puffing and completely out of breath, I exclaim to everyone settled into their seats "I LEFT MY CAMERA HERE. HAS ANYONE SEEN IT?!?!" Nothing, no one knows what I'm talking about (but they could also just be ignoring me since I appeared to be a crazy, panting, sweating, maniac). I pop down on all fours to scour the floor beneath the seats. Nothing! I don't see it anywhere! I turn around and my bag has been thrown out of the doorway onto the train and the doors are sliding closed, all of my New York City Subway riding experience comes to a head: I leap towards the doors and throw my arm into them just in the nick of time to prevent them from closing. They reopen, I grab my backpack, and jump off of the train. Now down on the platform with my backpack the doors close shut and the train begins to slowly pull away. Immediately the conductors on the platform begin yelling at me (in Italian) and say that they should give me a fine. But not only are we in Italy, but we're in Rome, I know and they know I know, that they don't really intend to fine me. Melissa's back where I left here without any idea where I am or what's going on - in fact, she's certain that I'm on the train and headed to Florence or Milan. After moving past non-threat of a fine I explained to the conductors that I had left my camera aboard and was trying to find it. They're immediate response was: you're an idiot, the next stop on the train is another station in Rome. I could've stayed aboard the train, found my camera gotten off at Roma-Tiburtina then simply returned back to Roma-Termini. At this point that option was neither here nor there, so they pulled out their closed circuit cell phone that communicates directly with trains. They try using it to call the train but it's not connecting and they're not sure if they even have the right number which is based on the train number - that was the 9524, right? or does it change to 9514 after Rome!? In between attempts to call the departed train, and speaking with the trains dispatchers the platform conductors are also calling and texting their buddies to discuss what they're smoke-break plans are - is Fabrizio meeting us? I could go for a brioche... These are the things that don't happen in Germany. Still with no idea where I am Melissa makes an expensive international call to me as we're walking back down the platform. She's obviously relieved to hear I'm not on the train. Once we finally made it back to Melissa, I'm still chatting back and forth with the conductors as they're finally able to get in touch with the train: THEY HAVE MY CAMERA! The conductors at this point are happy to take us to the customer service desk on their way out of the station for their long-awaited smoke break. Ok so what next, how do I get it back? Can we just send it on to Milan and pick it up there on Saturday? Can it be sent back on the next train from Florence to Rome and we just hang out for a couple hours and wait? The woman at customer service, we'll call her Maria, was quick to explain that on all Italian trains except the Frecce there is nothing they can do for lost items. Furthermore, for the Frecce trains there still is not a proper 'Lost and Found' but only a (as I understood and recall) 'Same-Day Courtesy Pick-Up/Return' policy. Meaning that once the camera arrives in Florence it either gets returned on the next train to Rome or it stays in Florence for the day for me to get up there and pick it up, there are no other options. So after a lengthy review of the train schedules and the logistics of how we could still make it to Rapallo at a decent hour we decided it made sense to go to Florence to pick up the camera. At some point in our time working with Maria a tourist in her 20s came in with a problem. She told Maria (all of their discourse was in English) that she had just left her camera on a train. Unfazed and seemingly unconcerned in any way, Maria asked to see her train ticket. Maria quickly looks it over, hands it back to the tourist and blankly says: there's nothing we can do. And that was it, the poor girl turned around and walked out, she would never see that camera ever again. Then Maria turned to us, printed our new tickets, I had to pay a very small increase in fare for the stop in Florence, she told us that once we arrive in Florence to go to customer service desk 18 where I would be able to retrieve my camera. We walked out together slightly frazzled but in the end happily knowing that I'd soon be reunited with my camera and all of the photos we'd taken on the trip to that point. In Florence we had about 30 minutes to wait in the customer service desk 18's line (not insignificant) to retrieve the camera and get to our next train. After some explaining, and signing a surprising number of documents I was reunited with my beloved camera. From Florence we took a regional train to Pisa, made a transfer in Pisa to another regional train which traveled along the Ligurian coast, through the Cinque Terre and finally to Rapallo. After all was said and done I think we arrived about 2 hours later than originally planned. 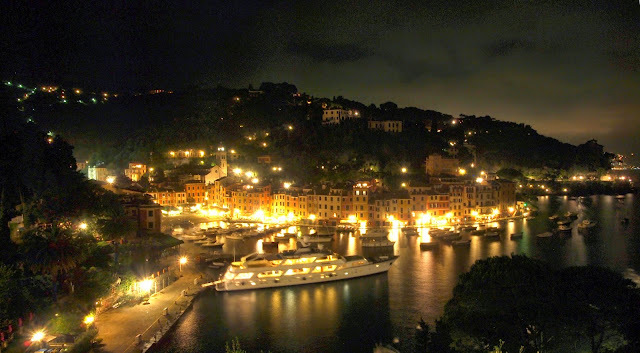 From there we met up with a friend I met in New York at an Architecture for Humanity event a year or so prior who took us out for an evening tour of Portofino (✮✮✮✮✮), then a great dinner in Santa Margherita at a local establishment with his wife and some friends. Thanks, Kurt! So dramatic, right?! Thankfully the camera was found and we weren't delayed too much. 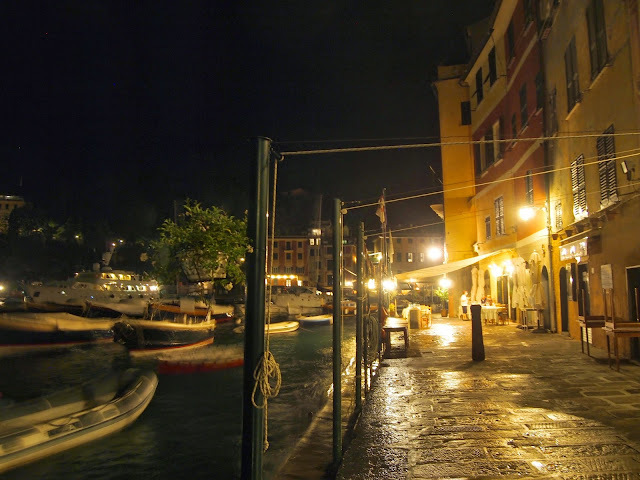 Just to prove the day wasn't a complete wash, here are some gorgeous photos from Portofino and Santa Margherita. More Italy photos coming soon! I promise.....errr.......I hope!